Carrabba's Italian Grill is a popular restaurant chain with hundreds of locations, founded in 1986 in Houston, Texas. 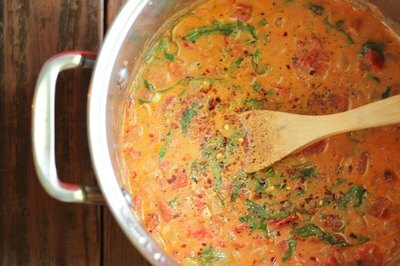 One of their popular dishes is creamy, spicy Fire Roasted Tomato Basil Soup. 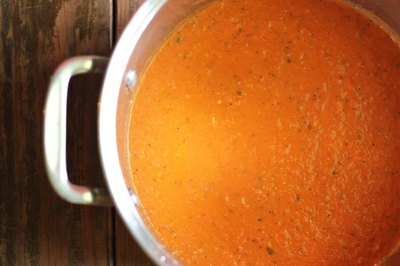 Unlike a traditional tomato soup made with regular tomatoes and broth, this soup combines roasted tomatoes, cream and chicken broth with crushed red pepper for a complex and rich flavor. 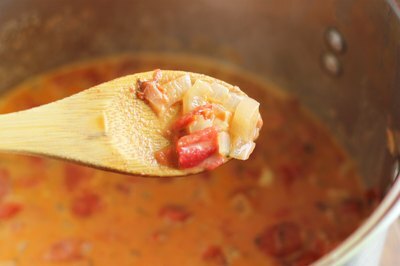 While Carrabba's recipes are top secret, this recipe will help you duplicate that flavorful soup in your own kitchen. Heat oil in a heavy pot over medium-high heat. Add onion and cook until translucent. 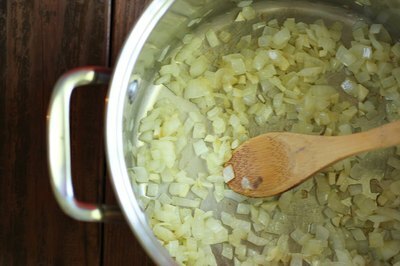 Add four cloves of chopped garlic to the pan with the onion. 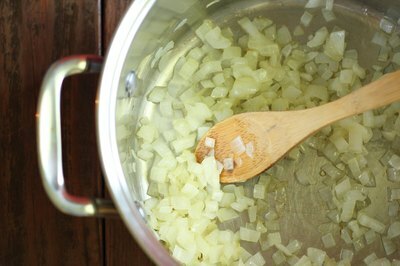 Sauté the garlic and onion for about five minutes, stirring frequently to avoid burning. 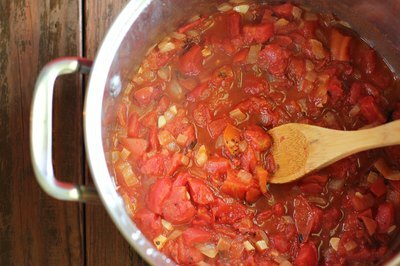 Add both cans of tomatoes, including juice, to the pot and stir. Cover and allow to cook for 15 minutes, stirring the contents every few minutes. Add the chicken broth and cream to the pot and simmer for about 10 minutes. The soup should thicken as it reduces. If, after 10 minutes, the soup is still too thin, allow it to reduce further until it reaches the desired consistency. Stir occasionally to keep the soup from sticking. Add the fresh basil, salt and pepper. Add crushed red pepper to taste. Cook on medium heat for five to seven minutes longer. 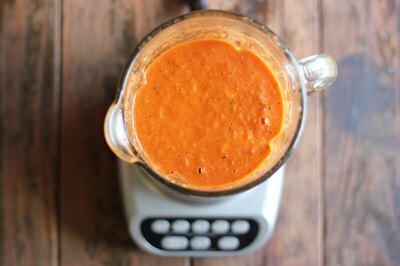 Pour or ladle mixture carefully into the blender. Add the reserved garlic and puree until smooth. Pour the soup back into the pot and serve. Reserve some of the basil for a pretty garnish. This soup is delicious served with fresh, warm bread. If you need to hold the lid of your blender while pureeing, use a potholder. The soup is very hot at this point and could burn you.